Inter Milan vs Barcelona: All Eyes on the Champions League Prize! 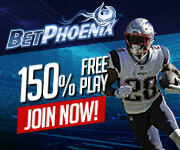 Get the latest news, bonuses and promotions! Barcelona are on the verge of securing a spot in the Champions League knockout rounds, and they have a chance to do it with two games to spare when they visit Inter Milan at Stadio Giuseppe Meazza this midweek. Barcelona have won their first three games in the tournament, and they are well in position to keep that immaculate record intact as they continue to dominate both domestically and in Europe. Luciano Spalletti’s men, of course, will look to give the Catalans a stern test in front of a supportive Milan crowd. However, they know too well that they are the underdogs, and that they need their best players to step up big time if they want to pull off a momentous upset. The biggest storyline that grabbed the Champions League 2018 news and headlines ahead of this encounter is the possible return of Barca talisman Lionel Messi. Barcelona initially gave Messi a recovery timeline of three weeks, but latest reports suggest the 31-year-old could feature for the team against Inter just two weeks after picking up the injury. Ernesto Valverde included Messi in his squad that will travel to Milan for the match, and the 54-year-old manager confirmed there is a legitimate chance that the Argentine will return to action. Messi is currently the team’s top performer, having already recorded 12 goals and five assists in all competitions, and his presence will undoubtedly be a huge boost for the team. While Barcelona could really use Messi’s help, it’s not that they are struggling without him. In fact, they are still pretty good even without the Argentine, as proven by their five-game winning streak in all competitions. Interestingly, that spectacular run started in the Sevilla game—perhaps, it’s the team’s response after Messi’s injury raised concerns about their ability to win matches. Barcelona beat both Inter Milan and Real Madrid in back-to-back fixtures during that stretch. 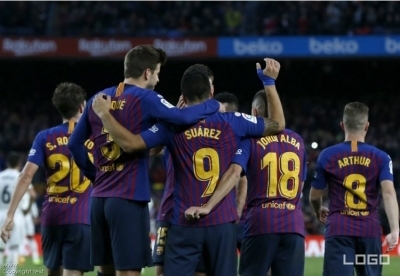 Rafinha and Jordi Alba were both on target against Inter, while Luis Suarez took the spotlight in El Clasico with a brilliant hat-trick as Barca edged out their bitter rivals, 5-1. There’s quality all over the pitch for Barcelona, and that is undoubtedly their biggest strength right now. Besides Suarez, they have the other top-rated stars such as Philippe Coutinho, Ivan Rakitic, Arturo Vidal, Samuel Umtiti and Marc-Andre ter Stegen. Barcelona certainly have the advantage, but Inter Milan won’t be short in confidence as they boast a winning streak of their own. They have won their last two games in the Serie A in great fashion, scoring a total of eight goals in those fixtures. The Nerazzurri bagged three against powerhouse team Lazio then followed it up with a 5-0 drubbing of Genoa. Inter top striker Mauro Icardi rested against Genoa, but he did hit a double against Lazio to bring his season tally to eight goals. Icardi and co. failed to show up against Barcelona in their first meeting, so they are more motivated to turn things around this time. It remains to be seen if they can change the narrative, but their recent good run of form should do nothing but help their cause. If there’s one silver lining for Inter Milan in this game, it’s the fact that they’ll be playing at home. Barcelona aren’t a weak team on the road per se, but they have shown more vulnerability when playing away from Camp Nou. In fact, their only loss in the La Liga this 2018-19 came on the road, against Leganes. Moreover, in their last five away games, they kept a clean sheet just once. Against Rayo Vallecano last Sunday, they saw themselves trailing after conceding two goals. Inter, on the other hand, have won five straight at home, keeping three clean sheets and conceding just two goals in the process. Barcelona are well ahead in the Champions League 2018 odds, with SBOBET Asian Handicap betting giving Inter a huge advantage to even the playing field. Nonetheless, I think it will be a lot closer than what the odds suggest. Home-court advantage should play a huge role, and I really see a thriller here. I have Barcelona winning this one, but it won’t be wrong to expect a high-scoring affair here. Disclaimer: Odds are correct at time of publish. 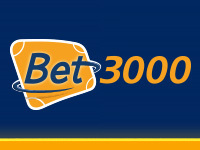 Do you want to be informed about bookmakers' latest promotions? Click and subscribe!